Pokémon GO’s Easter Egg themed event has been launched live today! Since Pokemon Go launched worldwide on both iOS and Android back in 2016 it really has taken the world by storm. News yesterday broke that there is a new easter event launched today (March 22nd) regarding Pokémon GO’s Easter-themed event. 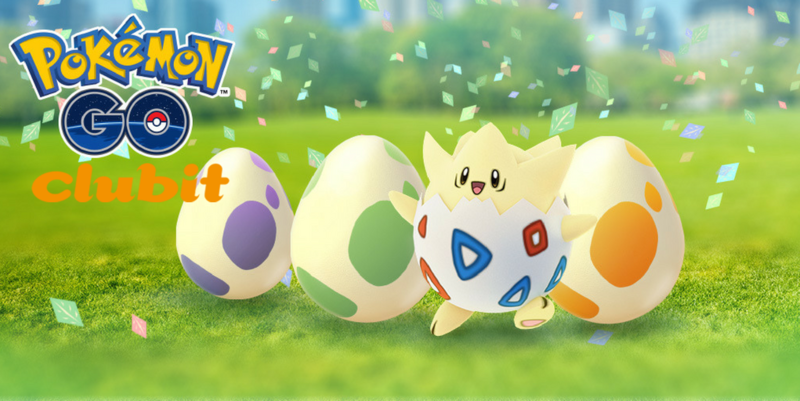 Today kicks off the launch of new types of ultra rare pokemon being able to be hatched from the very special 2km eggs, so its time to hit that pokemon go app over the Easter period as Pichu and Togepi will hatch more frequently during the Pokemon Go easter event. There is a lot of updates coming from both Pokemon and Pokemon Go this year including an amazing Pokemon holographic Pokedex that was seen in use in Japan, it seems that with exclusive collaborations with Fila creating awesome official pokemon shoes. If you’re still into nostalgia and remember Pokemon from back in 1999, it is still possible to get hold of very rare original pokemon stickers.